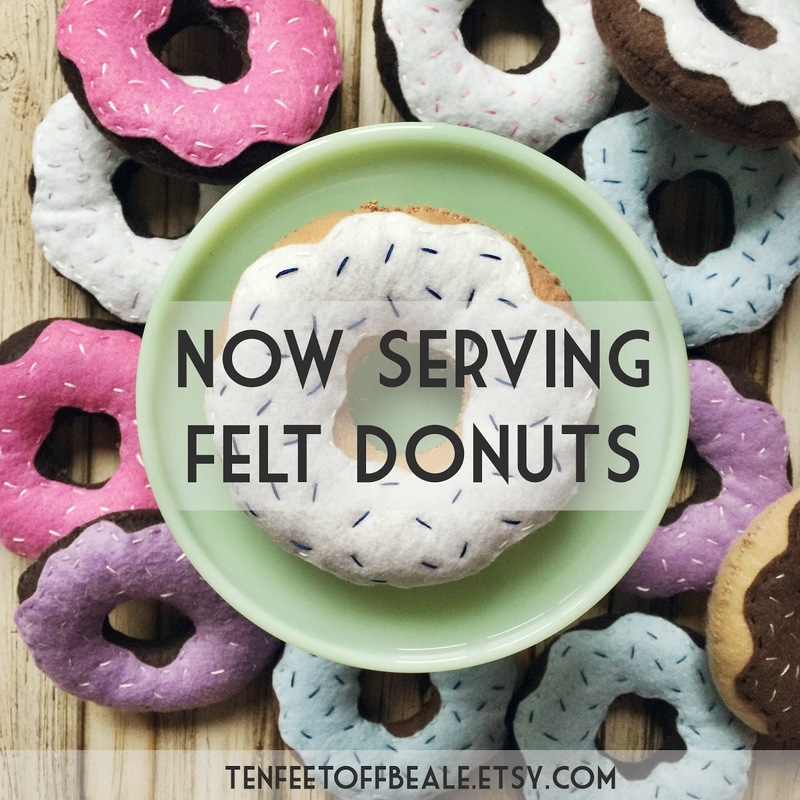 Yes, you read that right, the Ten Feet Off Beale Etsy Shop has expanded and is now serving felt play donuts! In addition to embroidery hoops, I'm hand stitching felt donuts. They're perfect for any little's play kitchen or simply decorating around the house! It all started when I made a few for my niece for Christmas. She just loves her "nonuts" and I am positive that others will find hours of joy with these fun felt donuts. One more announcement!!! From now until the end of February, I have a special Limited Edition Valentine Donut listed in the shop. Not only are these donuts super cute for Valentine's Day, but also for every donut purchased, I will be donating a portion of the profits to St. Jude Children's Research Hospital. So, head on over to the shop and let me know what you think!!! Are there any flavors you'd like to see in the future? Oh, and be sure to follow along on instagram (@shop_tenfeetoffbeale) to see sneak peeks, behind the scenes pictures, and special offers.